“Granite - Quartz - Tile” We transform stone slab + tile into masterpieces for your home. — The difference is in the details... With our craftsmanship and comprehensive service package, the whole process is easy and enjoyable — and the outcome is exceptional. 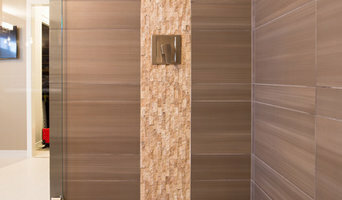 Tile and Stone installations with a focus on showers and waterproofing systems. ~ Specializing in ADA Barrier free/ curbless shower systems. Serving Vancouver , Clark County Washington. At Tile Addict, we believe that what is underneath the tile is as important as what's on top. We put the same care and attention to detail into every job, large or small. We love what we do. We're addicted to tile! Our belief is that your tile installation should last a lifetime. "We stand behind what you stand on." Stone counters are a prominent feature of any home or office, so why would you trust the fabrication and installation to the cheapest bid? At American Marble and Granite, our craftsman are skilled in the art of stone fabrication. In addition to our years of experience and innovative approach, we have invested in the most advanced tools available to ensure a great installation every time. Great people and precision tools are nothing without something to cut. In order to ensure we have the marble or granite you’ll want, we stock the largest inventory of stone in Southwest Washington. Because of the relationships we maintain with suppliers throughout the country you’ll benefit from an outstanding selection and attractive pricing. Granite is hard, having it installed shouldn’t be! 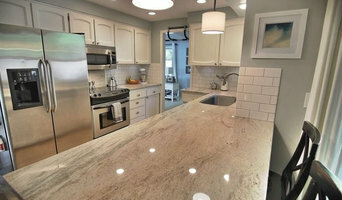 We are Portland’s granite countertop professionals. We know many granite counter experiences have been spoiled by the legendary inconvenience of having them installed. We have developed a process that allows us to provide you with the highest quality granite counters without the frustration. How? We help you understand the process, your options, the decisions you will be making, and why. We’ll be right beside you through each step from slab selection to installation. Then the really good stuff. We install your counter tops six days after templating . . . guaranteed! What’s more, your kitchen will be down only one or two days in a typical installation! Nine consecutive Angie’s List Super Service awards tell the story. Yes, we’re really that good! Masterworks Tile Installation LLC serves the greater Vancouver Washington area and parts of Portland. They specialize in all your tile and stone needs. Founded in 2000, Hawthorne Tile is Oregon's only NTCA 5-star contractor. 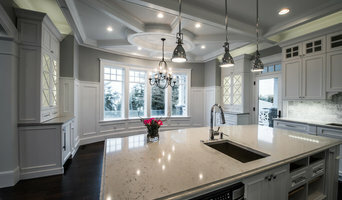 We have grown, nurtured and educated our dedicated team, building a reputation among homeowners, builders and designers as Portland’s premier source for interior and exterior custom tile, glass and stone work. When you choose Hawthorne Tile, your entire process will be a collaborative effort. Our thoughtful professionals will do quality work with surgical precision, solve design dilemmas, and keep you up to date on emerging industry trends and installation products. We stay by your side with unmatched personal care. fabrication and installation of stone, glass and eco-friendly solid surfaces: countertops, shower walls/floors, tub decks, fireplace surrounds/hearths and more. Founded in 1981, ANN SACKS has built its reputation with innovative and beautiful tile, stone and plumbing that can bring your unique vision to life. Whether your setting is traditional or modern in style, ANN SACKS offers an infinite variety of inspiring designs at a wide range of price points. From classic ceramic flooring to the latest innovations in concrete, glass and recycled metal, the possibilities are limited only by your imagination. Our team at Classique Floors is excited to get to know you, learn about your project and help you find the right floor covering product to fit your needs. Our in-store designers are here to help you with home and business flooring projects, large and small. We look forward to meeting you at our Portland, Oregon location. Thank you for the opportunity to earn your business. Proudly serving Portland area since 1995, we are proud experts in custom installation of quartz, granite, and marble countertops for kitchen, vanity and many other surfaces. We cover small to large-scale projects. Our clients are residential homeowners, remodeling and building contractors, designers, and architects. We listen to our client's needs and work within budgets and timelines, and provide the highest quality product installation. If it involves tile, stone or another countertop material, odds are this pro can tackle the job. With comprehensive knowledge of which surfaces will work best in various locations within the home, Washington tile, stone and countertop contractors can help you select the ideal material for the intended application. Some focus on kitchens and bathrooms, while others handle outdoor projects, such as walkways. In addition to basic surfaces, many Washougal, WA tile, stone and countertop contractors can create and install murals and mosaics, as well as add decorative edge treatments to countertops. They also repair or replace surfaces in the event of chips, cracks, stains or other damage. Many tile, stone and countertop professionals also install shower pans, radiant-heat flooring systems and other common components of surfacing jobs, often working in tandem with Washougal, WA plumbers or other professionals. Here are some related professionals and vendors to complement the work of tile, stone & countertops: Interior Designers & Decorators, Architects & Building Designers, General Contractors, Kitchen & Bath Designers, Design-Build Firms. Find a tile, stone and countertop contractor on Houzz. Narrow your search in the Professionals section of the website to Washougal, WA tile, stone and countertops. You can also look through Washougal, WA photos to find tile, stone and countertop projects you like, then contact the contractor who worked on it.